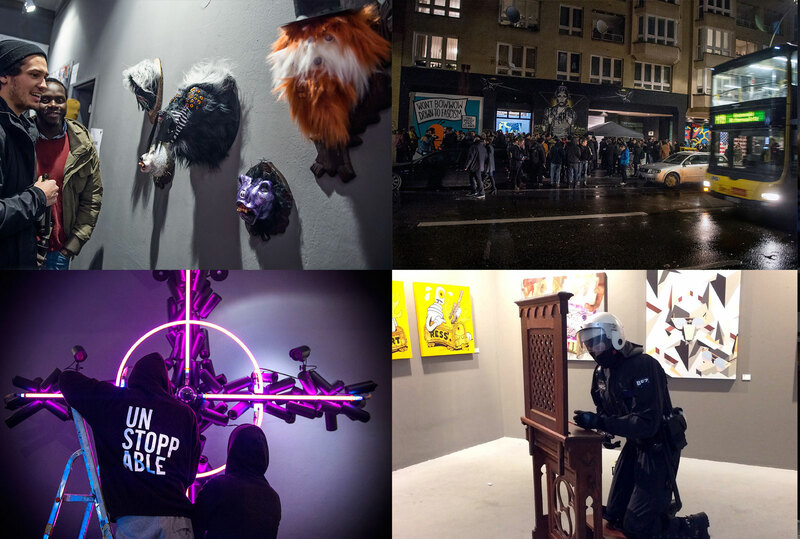 Info: Urban art experts Rudolf Glöckler (RBNSHT), Boris Niehaus (Just) and C100 were invited to curate an exhibition at Urban Nation Gallery in Berlin. 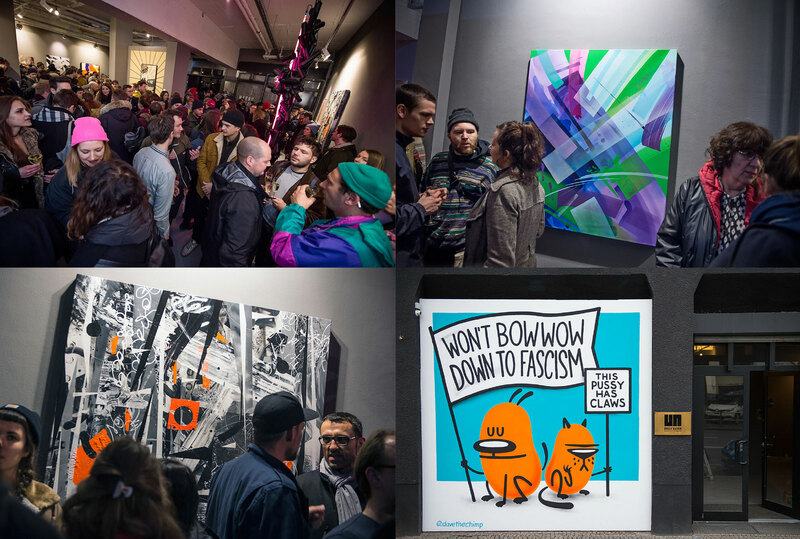 The exhibition „Radius M“ featured a selection of the best urban contemporary artists from Germany: Case Maclaim, Dave the Chimp, Flying Fortress, Formula 76, Low Bros, Mad C, Moses & Taps, Nomad, Layer Cake, Rocco and his Brothers, Sat One, Sweet Uno, Various & Gould, Zelle Asphaltkultur, XOOOOX. The opening reception was very successful, the location was full of guests and visitors had to queue in line to see the amazing works. Please check the movie below.